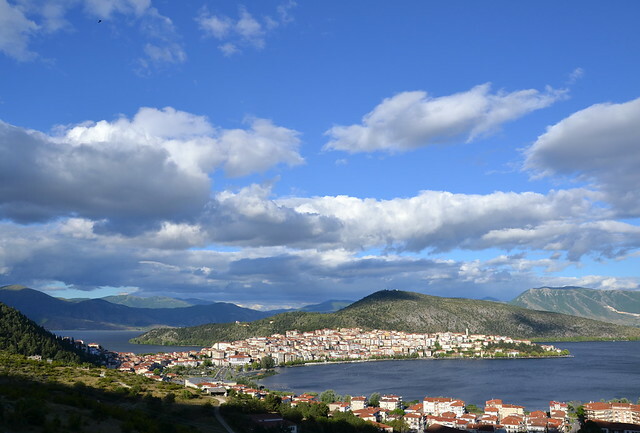 The lakeside mountain city of Kastoria is one of the most distinguished in Southeast Europe. It has an unequalled number of medieval churches dating from the 9th to the 15th centuries, while its 18th-19th century mansions, founded on the wealth brought in by the fur trade, are among the finest in the wider region. Today the two neighbourhoods of Dolcho and Apozari constitute the surviving historic centre which contains 370 listed buildings, 351 in private and 19 in public hands. Since World War II, the city has suffered considerable damage as a result of population growth and the construction of contemporary apartment blocks. The economic crisis and high unemployment rates have aggravated the situation. Local authorities, NGOs and private partners have joined efforts to restore the historic buildings but increased national and European support is needed. Its rehabilitation would be a vital tool to overcome the crisis at the local level. Most of the buildings are owned by the Greek State through the Municipality of Kastoria. The nomination for ‘The 7 Most Endangered’ was submitted by Elliniki Etairia – Society for the Environment and Cultural Heritage in cooperation with the local municipality.